Debrian Travels: Amex Hilton Honors Business: go for the annual free night? The Amex Hilton Honors Business Credit Card offers an annual free night, but should I pursue it? Last week I read an article at One Mile at a Time analyzing whether it was worth putting spend on the World of Hyatt Credit Card in order to meet the annual spend threshold for a free night certificate. While I do not have this card and have little interest in obtaining it given that I have not stayed at a Hyatt property in over four years, the post made me think. Earlier this year, I opened an American Express Hilton Honors Business Card which has a similar annual incentive: spend $15,000 and earn a free weekend night. Since I have completed the sign-up bonus, I have a head start on this threshold, so I have been putting non-bonused purchases on the card lately. However, after reading the OMAAT analysis, I wondered if a free weekend night was worth the points I was giving up in the pursuit. Not a bad package of benefits for a $95 annual fee. It’s the last benefit I have been pursuing, but I now want to examine that more closely. Having completed the $4,000 initial spend for the sign-up bonus, I have spent $4,907 on my Amex Hilton Honors Business card. This leaves a balance of $10,093 that I would need to complete before the end of the year to earn a free weekend night. That works out to an average of $2,778 per month, which is a lot of spending for one night. Let’s take a look at the value involved here. First, placing a value on the points earned by using the card is very straightforward. Assuming all spending is unbonused, I would earn 30,279 Hilton Honors points, which, at 0.6 cents per point, would be worth $181.68. Valuing the free weekend night certificate is harder and depends on far more factors. I am in the early stages of planning a trip to Europe for late 2019. Properties in European city centers are typically expensive, making those a great use for a free night. Since Hilton certificates are good for "standard accommodation, double occupancy,” a standard room reward night must be available. Since inventory for late 2019 is not yet available, I looked for rooms in late 2018 as an example. The Maison Astor Paris, a member of Hilton’s Curio collection, has an available standard queen reward night. If paying cash, the rate would be $318.52. At a nice, centrally-located property in Paris, I would jump at the opportunity to use a free night. Taking the paid rate for the Maison Astor Paris plus the value of the points earned from spend, the total comes to approximately $500. That represents a decent return on spend of 4.96%. The question then becomes, am I giving up more value to pursue the free night? In order to earn the free weekend night, I would need to divert spend from other credit cards in my portfolio. To establish a best case scenario, I assume I could achieve this solely with unbonused spend. The Chase Freedom Unlimited is my card that offers the most points on unbonused spend, 1.5x points per dollar. If I put all this spending on the Chase Freedom Unlimited card, I would earn 15,140 points. At a value of two cents per point, this would be worth $302.79. Even if I had to redirect some bonused spend, pursuing the free night could potentially be more valuable. In fact, as long as I were to realize at least $122 of value from the free night, pursuing the certificate would be the optimal choice. However, are there other options for this $10,000 of spend? As a matter of fact, three of them. The $10,000 I would need for a free Hilton night is more than enough to satisfy the welcome bonuses on as many as three new credit cards. And right now, there are more than three cards that greatly interest me. Let’s consider the returns of directing this spend to three of these cards. The Chase Ink Business Cash Credit Card currently offers a welcome bonus of 50,000 points (though this is marketed as $500) after spending just $3,000. This product offers an attractive 5x points for internet, cable, and phone services. These bonus categories and the $0 annual fee would give this card a permanent place in my portfolio. Not counting these great bonuses, the $3,000 initial spend would earn at least another 3,000 Ultimate Rewards points for a total point haul of 53,000 valued at $1,060. 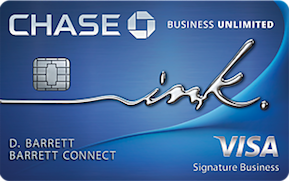 The Chase Ink Business Unlimited Credit Card has the same signup offer as the Chase Ink Business Cash. However, the Unlimited offers a flat 1.5x points on all spend, so my initial spend would bring in an additional 4,500 points. With the sign-up bonus, the total points I would receive would be 54,500 valued at $1,090. The final card I would like to get is the Chase IHG Rewards Club Premier Card. This card is an enhanced version of the discontinued Chase IHG Rewards Club Card that I currently carry. This card only offers a single point on unbonused spend, but it easily covers its $95 annual fee by including, just like it’s older cousin, a annual free night certificate. Currently, the card has a 100,000 welcome bonus after spending $3,000 in three months. Adding in 3,000 points earned from spend, I would get 103,000 points. Using a value of 0.6 cents per point, these would be worth $618. If I spent $9,000 on these three cards, I would still be $1,093 short of the total required to earn a Hilton free night. If I put the remaining total on the Chase Freedom Unlimited, I would earn another 1,640 Ultimate Rewards points worth $32.79. All together, my $10,093 of spending could realize a return of $2,768 or 27.4%! This far exceeds the value I would realize by pursuing the Hilton free night, making this the preferred use of $10,000 of spending. The analysis leads to a no-brainer decision: don’t pursue the Hilton free weekend night but, instead, apply for new credit cards. In fact, before I even completed this article, I applied for the Chase Ink Business Cash Credit Card and am awaiting a decision (Chase is bad for not always giving instant approvals). It is also easy to extend this analysis to a normal full year. You can clearly see that the $15,000 that would be required to earn the annual free night could support up to five new cards (assuming there are five attractive card offers for which you are eligible). Given this conclusion, I have removed the Amex Hilton Honors Business Credit Card from my wallet and will not use it again except for Hilton stays. In fact, I may even cancel it since few, if any, of its benefits offer something that I do not have with through other cards.